For through him we both have access in one Spirit to the Father. 19 So then you are no longer strangers and aliens, but you are fellow citizens with the saints and members of the household of God, 20 built on the foundation of the apostles and prophets, Christ Jesus himself being the cornerstone, 21 in whom the whole structure, being joined together, grows into a holy temple in the Lord. 22 In him you also are being built together into a dwelling place for God by the Spirit. 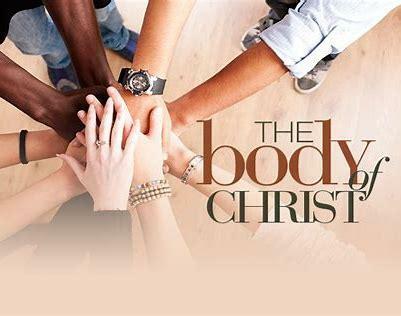 In a recent survey by Dave Olson, the director of the American Church Research Project, found that at least 80% of Christians today believe they can be Christians and not be a part of church. In an age where modern beliefs of individualism and liberalism are celebrated, people have fallen into the misconception that their personal relationship is what matters and church is merely optional. Some have even walked away from the church completely due to past hurt experiences. But in our passage, Paul points us to a fundamental truth that the gospel was more than just about individual salvation, but about communal redemption. When Christ redeemed our relationship with the Father, consequently all of our other relationships were now redeemed through Him. For, before Christ, our relationships with others were like that of strangers and aliens. There were more things that separated us and we have all witnessed the costs of such divisions. But through Christ, we come together to be the household of God, meaning we are invited into the very family of God. This is the beauty of the gospel and the church Christ calls his bride. A pastor said it like this: “There is nothing like the local church when it’s working right. Its beauty is indescribable. Its power is breathtaking. Its potential is unlimited. It comforts the grieving and heals the broken in the context of community. It builds bridges to seekers and offers truth to the confused. It provides resources for those in need and opens its arms to the forgotten, the downtrodden, the disillusioned. It breaks the chains of addictions, frees the oppressed, and offers belonging to the marginalized.” The vision Paul puts before us is the church becoming the very temple of God—in other words, a place for all to encounter His presence. And in His presence, we would see the community of God coming together as one to worship Him. May we restore our hope in the church and remember we are part of something far greater than just ourselves. Prayer: Father, we thank You that You not only invite us into a relationship with You, but into a new relationship with one another. In a world where division and hate can be so prominent, we know that in You, we become the family of God. May our churches become the very temple of God where Your presence dwells. Read Colossians 3:12-16: Put on then, as God’s chosen ones, holy and beloved, compassionate hearts, kindness, humility, meekness, and patience, 13 bearing with one another and, if one has a complaint against another, forgiving each other; as the Lord has forgiven you, so you also must forgive. 14 And above all these put on love, which binds everything together in perfect harmony. 15 And let the peace of Christ rule in your hearts, to which indeed you were called in one body. And be thankful.16 Let the word of Christ dwell in you richly, teaching and admonishing one another in all wisdom, singing psalms and hymns and spiritual songs, with thankfulness in your hearts to God. Why does Paul command us to put on these things? What does Paul reveal as our motivation to love one another? What would this look like in our lives? How does this change the way we treat one another? Are there people that come to mind as you read this? Notice Paul commands us to put on these attributes. The phrase “put on” is like that of putting on clothes something we would consciously do everyday. Paul is saying don’t expect these attributes from others, but we should put these on ourselves despite how others treat us. Paul says to forgive one another as the Lord has forgiven us. In other words, our ability to love others does not come from our strength, but from an overflow of Christ’ love for us. Paul sums up everything by commanding us to put on love above all things. Paul paints this image of what this would look like if everyone did this—a church that keeps each other accountable through the word while worshipping and praying for one another. Personal Reflection. Spend some time praying for your local church. Let us pray that our churches will become communities so different that people will see the love of Christ in the way we love one another. Pray for your leaders and members to have this desire.